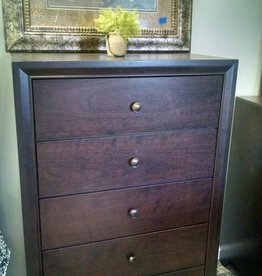 Warm Brown finish nightstand with metal hardware. Measures: 18: x Deep x 37" Wide x 50" Tall. 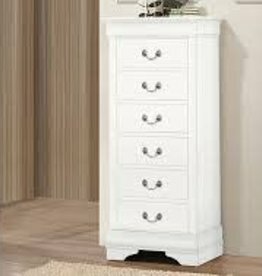 5-Drawer chest of drawers. Gray finish w/ antique brass pulls. 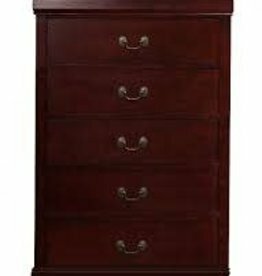 Warm brown chest of drawers. 5 storage drawers. Modern look. 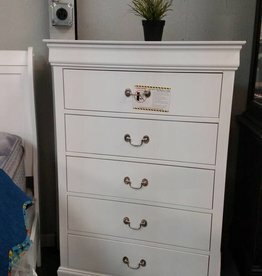 5-Drawer chest of drawers. White finish w/ silver pulls. 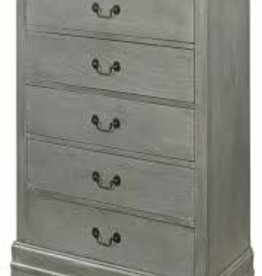 5-Drawer chest of drawers. Cherry finish w/ antique brass pulls. 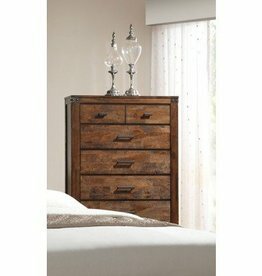 7-Drawer lingerie chest. 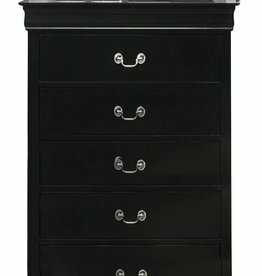 6 lingerie-style drawers with top hidden drawer for small storage. White finish with silver pulls.